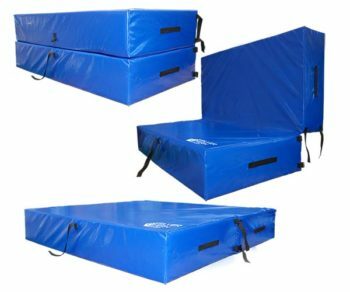 Folds in half, heavy duty PVC cover with webbing straps and solid foam inner. Custom branding available and also other PVC colours available on request. Used for tackle training, designed to absorb heavy impact ensuring player safety. Also used for gymnastics training.